San Francisco, San Jose and Oakland are some of the most expensive home markets in the nation, according to a Trulia study. A 1,400 square foot apartment in the Financial District is costing upwards of $12,000 per month. It may actually be a more viable option to rent in these three metros than to buy if planning on staying in the area for less than three years. San Francisco, San Jose and Oakland have all seen a high escalation in income in the last 30 years, but less than half of the needed amount to match their rising housing costs. 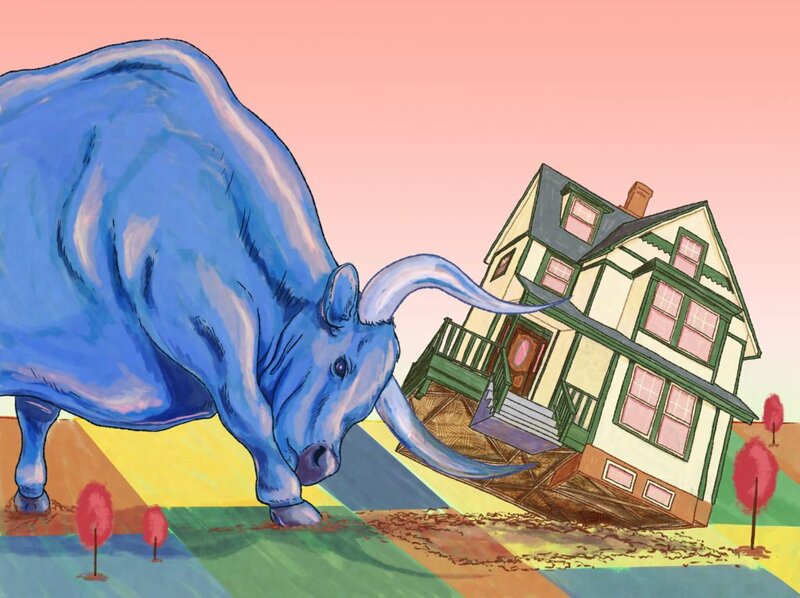 It’s widely known that Bay Area housing prices have not only skyrocketed since the last real estate bubble burst, but have remained high to make it the highest priced housing market in the country. 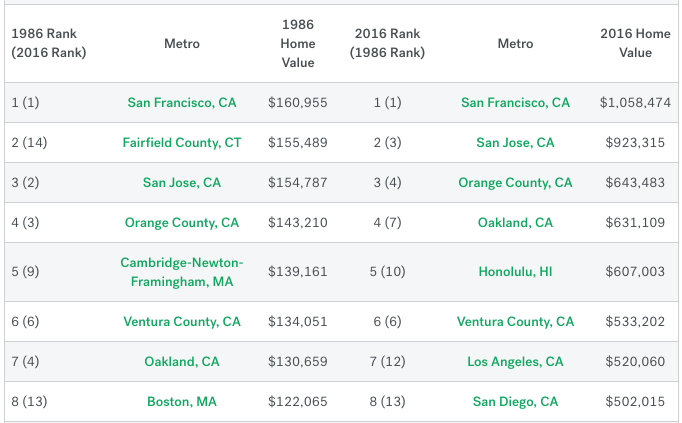 According to a recent Trulia report, San Francisco (1), San Jose (3) and Oakland (7) are some of the most expensive home markets not only in California, but the entire nation. These metros are also taking the lead with the most price growth over the past 20 years, dwarfing the national average of 300 percent. Since 1986, San Francisco real estate has retained the top spot as most expensive, with a 557 percent increase in median home values from $160,955 to a whopping $1,058,474 in 2016. Similarly, the median home value in San Jose increased remarkably in the same period, reflecting the expansion of Silicon Valley and its tech industry. In 1986, San Jose’s median home value was $154,787. Today, it hovers close to $1 million — a 496 percent rise. Though notable, Oakland real estate has not seen as great of a spike in price as its Bay Area counterparts, with an upturn of $500,000, or 383 percent. However, more and more people demand to be close to the bay, San Francisco offices, and enjoy more mild weather patterns, resulting in a population growth of 44 percent since 1986. By comparison, San Francisco and San Jose metros saw 21 and 36 percent population growth during the same period. Although there is a demand for homes in the Bay Area, the supply is low, causing a disparity between quality and quantity that is only increasing with the price. The dramatic rise in homeownership costs and deficiency of supply inevitably led to the sharp uptick of rental costs. A 1,400 square foot apartment in the Financial District is costing upwards of $12,000 per month. 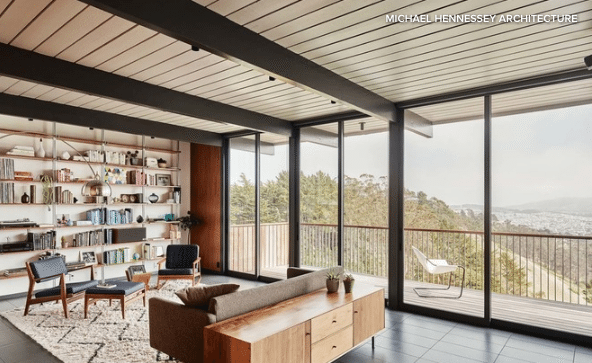 Searching for the balance between space, cost and return on investment is challenging in the Bay Area, but not impossible. It may actually be a more viable option to rent in these three expensive metros than to buy if planning on staying in the area for less than three years. In 2014, it was 40 percent cheaper to rent in San Jose than to buy, 36 percent in San Francisco, and 16 percent in Oakland. In fact, four of the top five places to rent in the U.S. over purchasing are in California. 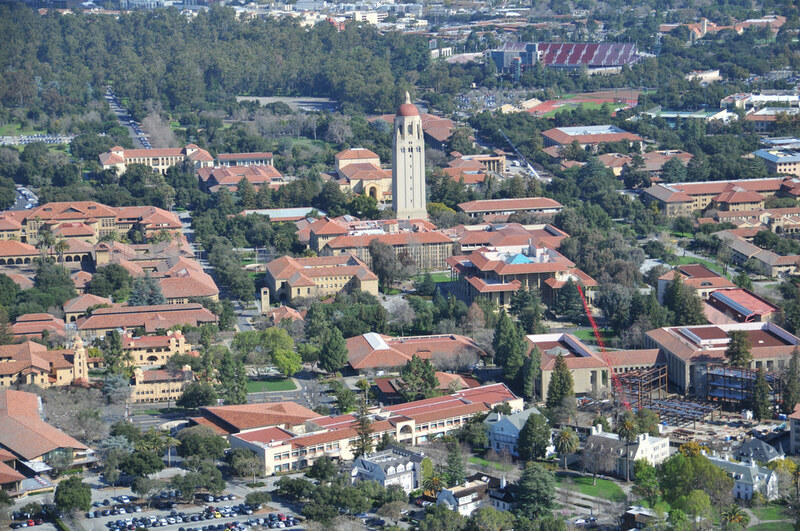 Who’s benefiting from the Bay Area’s stark comparison between housing and income? Regardless of whether it is more fruitful to buy or rent, the cost of living in the Bay Area can be very expensive, ushering a demand for a parallel increase in income to compensate for the rising prices. The 30-year income growth in San Francisco is at 209 percent, which isn’t close to the housing price increase of 557 percent over the past 20 years. Comparable to San Francisco, San Jose and Oakland have also seen an escalation in income, but less than half of the needed amount to match the rising housing costs. Who’s benefiting from the stark comparison between housing and income? Those who bought a median priced house in the most expensive markets in 1986 have gained nearly $900,000 in the value of their home.